The Coral Beauty Angelfish is an easy to keep dwarf angelfish. They’re extremely variable in coloration, ranging from pale yellow to dark blue in the body with red and orange accents, and dark vertical stripes. 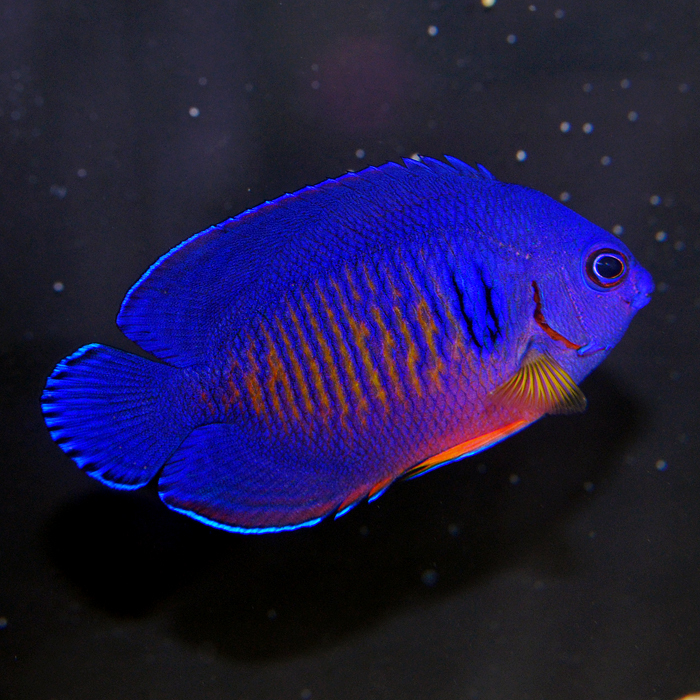 They’re semi-aggressive with most fish, but downright aggressive with other dwarf angelfish that are not mates. Dwarf angelfish and large angelfish are typically compatible, however. Use caution when housing this fish with corals; it may eat or damage corals and some inverts. Provide plenty of algae in its diet and also offer meaty foods like enriched Artemia, frozen mysis shrimp, and plankton.